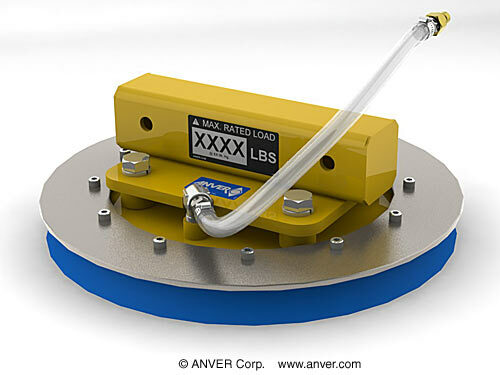 ANVER Vacuum Lifters can be outfitted with a variety of Interchangeable Vacuum Pads and Vacuum Lifting Attachments for a wide range of material handling applications. 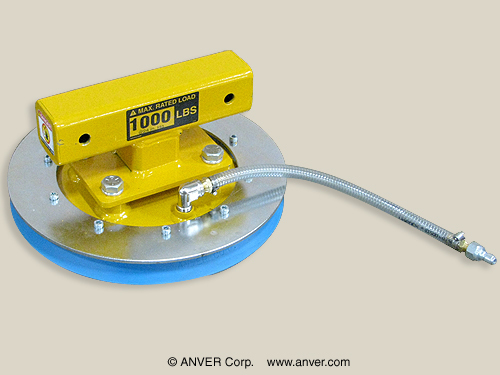 The below Vacuum Lifting Pad Attachments feature ANVER’s proprietary SSR Series of Hand Replaceable Slip-On Vacuum Sealing Rings. 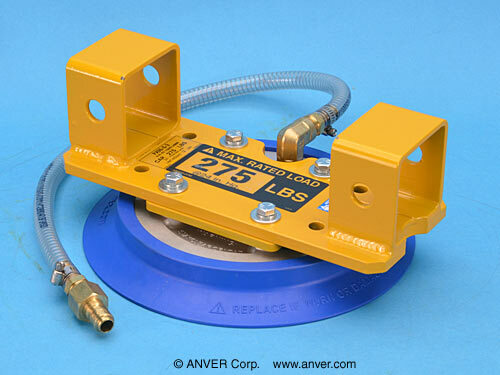 With SSR Sealing Rings, ANVER Vacuum Lifters are more economical to operate as the vacuum seals can easily be replaced in minutes with no tools required for removal or installation. 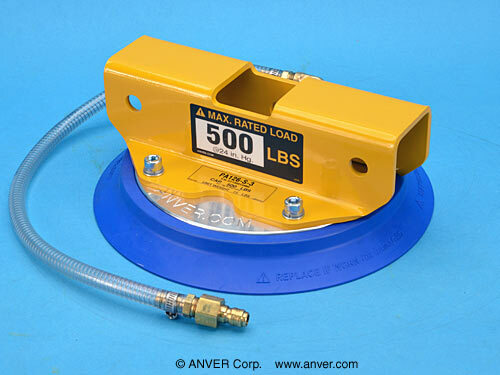 ANVER SSR Sealing Rings also feature a short lip design for rapid vacuum attachment and release. The DP series of vacuum pad attachments are suitable for handling heavy, rigid to semi-rigid loads. 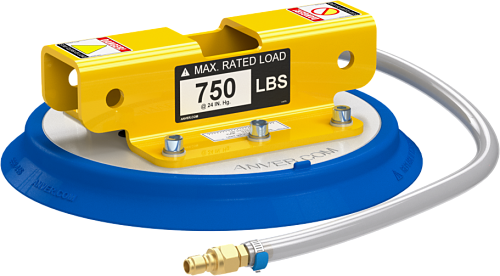 They feature rugged deep lipped rubber sealing rings that are bolted on between two metal plates to handle heavier loads with security. 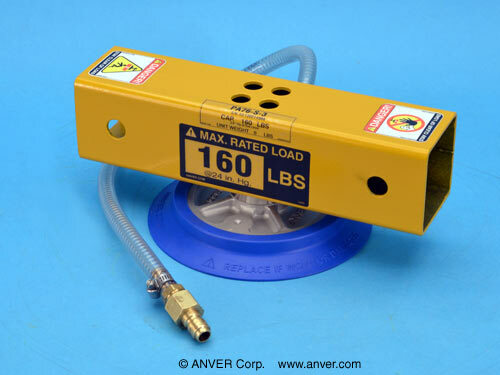 Note: Not for use on thin materials. 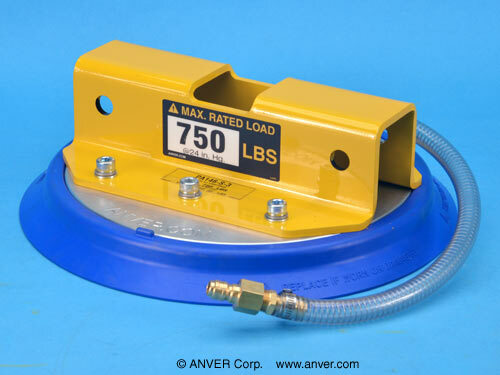 *The cup capacities shown above are based on 24″Hg at sea level with a safety factor of two (2) in the horizontal (flat) position. 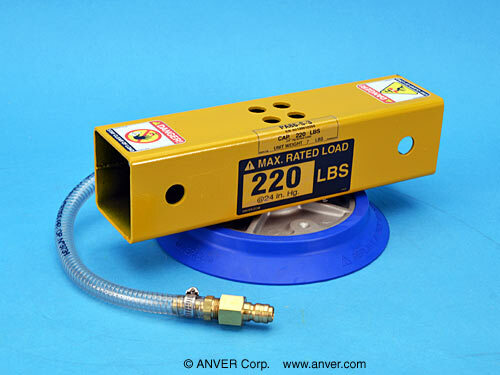 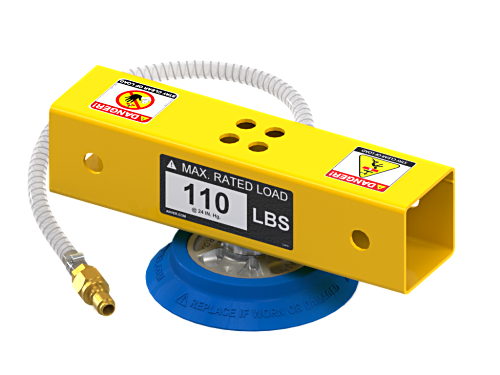 Rated Load Capacities are estimated; actual capacity will vary based on the load surface and the level of vacuum.